It’s easy to picture Gary Paul Nabhan as a human teletype machine. As quickly as thoughts come into his head, it seems, words flow out of his fingers, filling book after book after book. 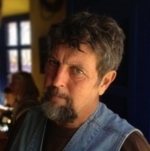 The author, co-author, or editor of around 40 books published between 1982 and 2018, Nabhan’s prolific production is even more impressive when we realize he is not only an academic — most recently holding the Kellogg endowed chair in Borderlands Food and Water Security at the University of Arizona’s Southwest Center — but also an active field ethnobotanist who has plunged his hands as well as his mind into the soil, forests, rivers, and sheep pens of the United States and Mexico. He has won more than a dozen national awards for his work and his writing, including a MacArthur “Genius” Grant and the Lannan Literary Award. An eighteen-year-old intern with the first national Earth Day celebration in 1970, Nabhan, now in his late sixties, has written groundbreaking, thought-provoking treatises on place-based (or local) food, the link between the loss of biodiversity and the loss of cultural diversity, water harvesting, disappearing pollinators, and heirloom seed-saving. He is the founder of Native Seeds/SEARCH, a nonprofit dedicated to banking and distributing seeds native to the arid southwestern United States and northwestern Mexico to ensure crop diversity and food security. Food From the Radical Center is one of two new books by Nabhan to be published this month (the other is Mesquite: An Arboreal Love Affair, out from Chelsea Green). The stories the book tells are based largely on initiatives Nabhan has worked on and written about in the past, such as the re-establishment of heritage turkeys and chickens, the protection and regeneration of agave plants, and the reopening of rangeland to bison herds. 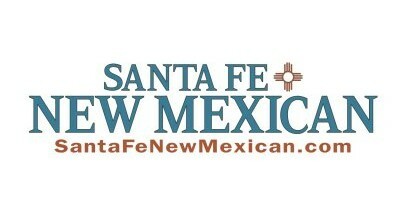 The term “radical center,” first used in the 1990s to describe the “fertile middle ground” created by a consensus-seeking approach to resolving conflicts between environmentalists and ranchers in the American West, came back into play in a living manifesto published on the website of the Santa Fe-based Quivira Coalition in 2003. In this book, Nabhan uses the term to describe a “movement for bio-cultural restoration … that unites rather than divides.” The need for collaborative conservation is particularly important now, when, as he writes, communities and democratic traditions are suffering from deep left/right, red/blue, rich/poor, and urban/rural divides. There are enough facts and figures cited here to satisfy those curious about the accomplishments (and failures!) of the past half-century of environmental activism. But at its heart, Food From the Radical Center is neither about the numbers nor the studies that report them; instead, it is an up close and personal look at the local people who have defined what “collaborative conservation looks like on the ground.” Written in the first person and often directly addressing the reader, it is also something of a life review of the work to which Nabhan has been passionately dedicated for the past 50 years. A chapter that opens with a survey of farmland soil erosion follows the development of the local cooperative that became the giant dairy producer Organic Valley before morphing into the ancient practice of planting living fencerows to hold soil in place. Another tells how traditional stonemasons from Guanajuato have built more than 40,000 traditional check dams on steep mountain ridges at the Arizona-New Mexico border so that water can be returned to the landscape rather than diverted. The Atlantic sturgeon stars in one chapter about watershed restoration and fish recovery, while another tells the story of camas lily bulbs, an indigenous food of Pacific Northwest First Nation communities that has the capacity to combat adult-onset diabetes. Navajo churro sheep, Carolina Gold Rice, White Sonora wheat, Newtown Pippin apples, Black Sphinx dates, bees, butterflies, and lesser long-nosed bats also get their due. Nabhan was one of the prime movers behind the initiative to have UNESCO designate Tucson as the first City of Gastronomy in the United States in 2015, prevailing over such food-centric cities as New Orleans and Portland. In the last chapter of Food From the Radical Center, wistfully titled “You Can Come Home Again,” he documents the process, the individuals, and the multicultural grassroots organizations that helped win that designation for Tucson, and how he sees hope for the future in the benefits the food-based initiative is bringing to the city. “By 2016,” he writes, “we began to see some positive trends in Tucson’s food business sector for the first time in almost a decade. The region’s biodiverse foods were triggering most of the financial recovery in an otherwise-lagging local economy … and not just in the gift shops of resort hotels or fancy restaurants.” Most Tucson residents, he continues, “are now being nourished by food from the radical center, perhaps because they are re-engaged with many of their neighbors who are also taking the middle path.” Food From the Radical Center may not be the best book Nabhan has written, but it is certainly the most wide-ranging, offering lesson after lesson from community-based projects that are quietly winning small, local battles to heal and sustain the lands and waters that produce our food.